GroupCreated using FigmaJuly 18. 2018. Three of our colleagues took part at this year’s European Conference on Composite Materials between 24th and 28th June in Athens. 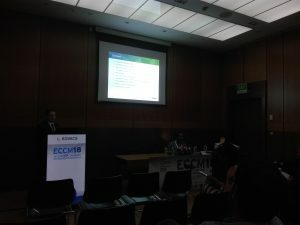 ECCM18 is one of the leading European conferences in the world of composite science. Along the years, ECCM18 has become an internationally recognized meeting point of all the scientists and engineers working in the world of composites bringing science and practice closer to each other. The 1200 participants at this year’s conference represented 65 different countries. The 4 plenary and 16 keynote presentations were given by the representatives of the flagship companies of the composite industry and scientific world such as ICCM, DLR, Boeing, Airbus, ESA, University of Delaware, University of Tokyo, Chalmers University of Technology, Delft University. Parallel to these presentations the audience could discuss actual topics and problems regarding the material behavior, production technology, chemistry, mechanics, and fatigue mechanism of composites in 14 separate sections. 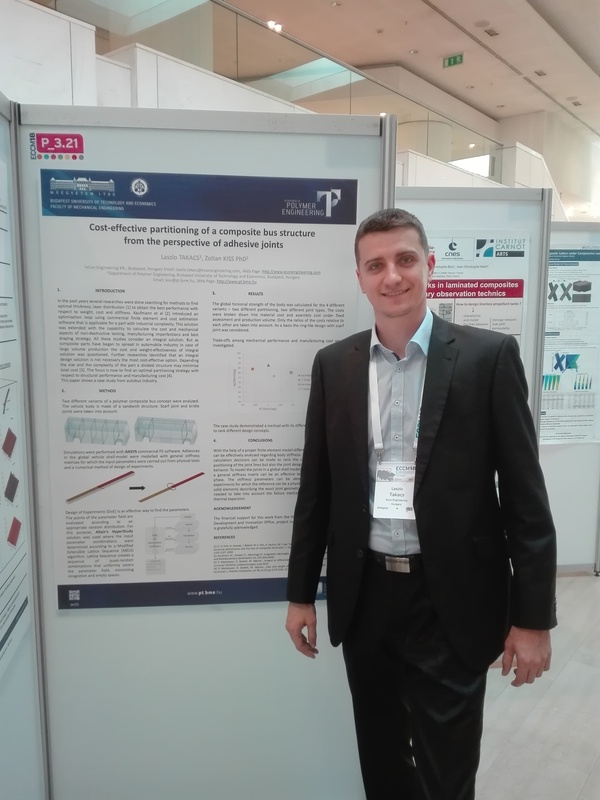 László Takács represented our company with a poster presentation entitled “Cost-effective partitioning of a composite bus structure from the perspective of adhesive joints”, while László Kovács gave a presentation entitled “Effect of variability of mechanical parameters on the deformation behaviour and failure of fibre reinforced plastic materials”. Both presentations received a warm welcome among the participants of the conference and our colleagues made some valuable scientific and industrial connections.